Mr. Adkins received his B.A. degree in 1981 and J.D. degree in 1984 from Louisiana State University. Since 1991, he has practiced almost exclusively in the fields of insurance defense, general insurance defense, casualty defense, and workers’ compensation defense. 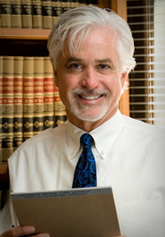 Mr. Adkins has extensive experience in all trial and appellate courts in the state. He is a member of the Baton Rouge and Louisiana State Bar Associations, the Defense Research Institute (DRI), the Louisiana Association of Defense Counsel (LADC), the National School Boards Association Council of School Attorneys, the Louisiana School Attorneys Association, and serves as a member of the DRI Insurance Law Committee and Personal Lines Subcommittee. He is admitted to practice in the U.S. Supreme Court and in the U.S. District Court for the Eastern, Middle and Western Districts of Louisiana, the U.S. Fifth Circuit Court of Appeals, and all Louisiana state courts. He oversees the defense litigation section of the firm and is located in the Baton Rouge office.